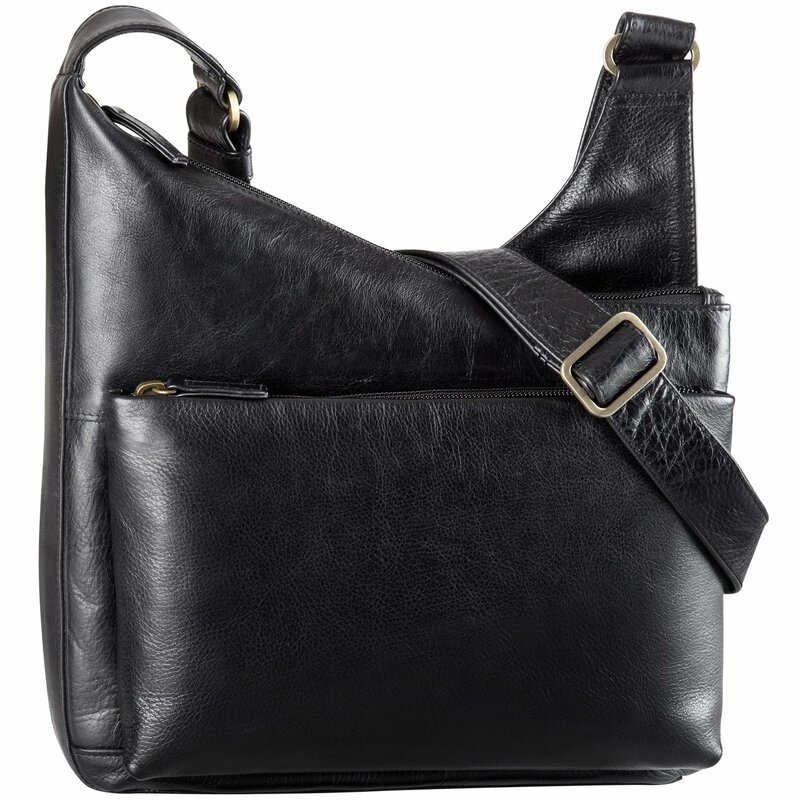 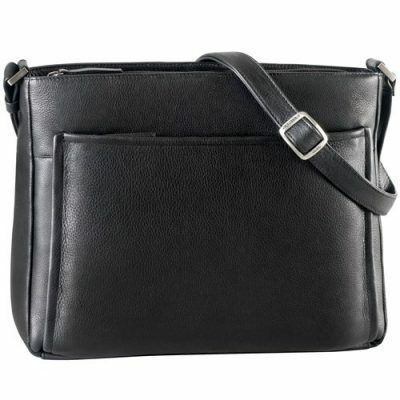 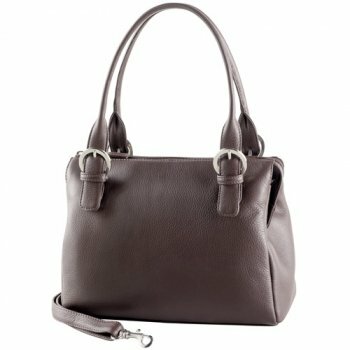 This handbag is secured with a top zip and includes three exterior pockets, two in the rear and one in the front. 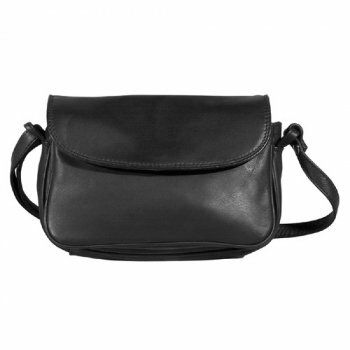 In the main compartment of the bag you will find an interior zippered pocket, and a key ring. This bag also includes an adjustable strap.